Produced and directed by Mark Johnston. Editing and graphics by Paul Hart. One of a series of spots that were created as part of an awareness campaign against torture. You might be interested in this. 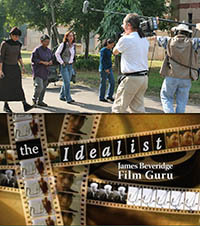 “THE IDEALIST – JAMES BEVERIDGE FILM GURU” A Filmmaking Journey.